AOA, an acronym for Ace of Angels, is a girl group that debuted as an eight-member girl band under FNC Entertainment in 2012. Currently, the group is promoting as a six member group consisting of members Jimin, Yuna, Hyejeong, Mina, Seolhyun and Chanmi. On March 11, 2017 AOA held their first Korean solo concert “Ace of Angels” at Olympic Hall in Jamsil. 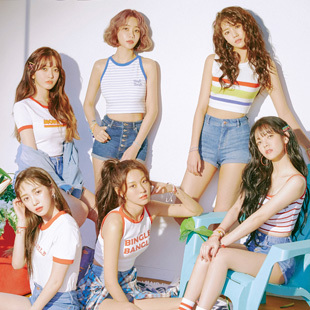 Most recently, the group made a comeback with their fifth mini album “Bingle Bangle” on May 28, 2018.